A poetic and nuanced exploration of the human experience of flight that reminds us of the full imaginative weight of our most ordinary journeys--and reawakens our capacity to be amazed. The twenty-first century has relegated airplane flight--a once remarkable feat of human ingenuity--to the realm of the mundane. 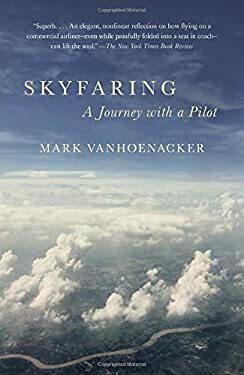 Mark Vanhoenacker, a 747 pilot who left academia and a career in the business world to pursue his childhood dream of flight, asks us to reimagine what we--both as pilots and as passengers--are actually doing when we enter the world between departure and discovery. In a seamless fusion of history, politics, geography, meteorology, ecology, family, and physics, Vanhoenacker vaults across geographical and cultural boundaries; above mountains, oceans, and deserts; through snow, wind, and rain, renewing a simultaneously humbling and almost superhuman activity that affords us unparalleled perspectives on the planet we inhabit and the communities we form.